The Alumni Foundation, Sri Ramachandra Institute of Higher Education and Research (Deemed to be University), comprises of nine chapters of the constituent colleges and organizes the events under the guidance of the officials of the university and the office bearers of the foundation. The foundation encourages the alumni to actively enroll and participate in the educational and social activities like organizing guest lectures, medical camps, creation of endowments and donation of books and e- resources. The office bearers meets periodically to discuss and update the various activities organized by each chapter. Every graduate is encouraged to enroll in the respective chapter of their constituent college. 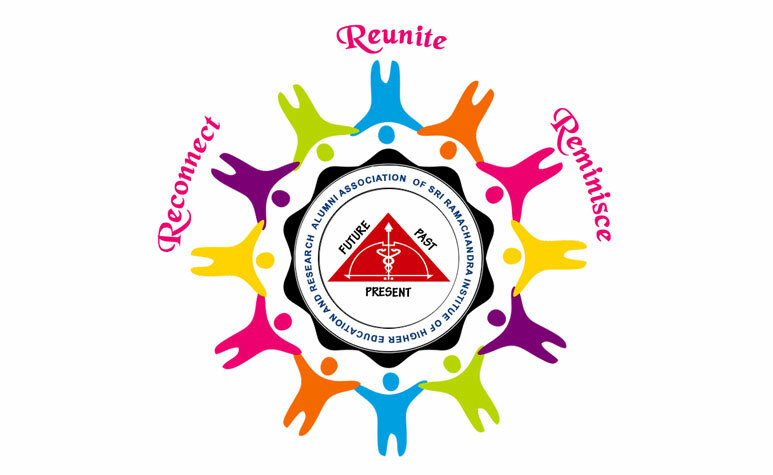 To advance Sri Ramachandra Institute of Higher Education and Research (Deemed to be University) by connecting alumni to one another and to the university through meaningful programmes, benefits, services and communication. 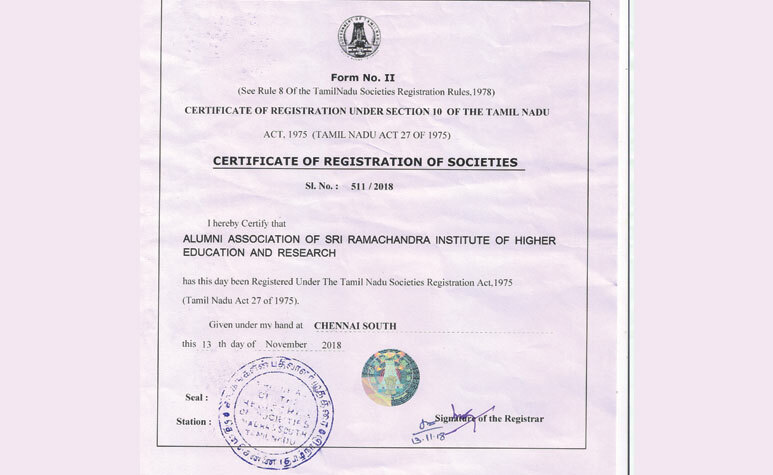 Creating a worldwide community among the alumni body of Sri Ramachandra Institute of Higher Education and Research (Deemed to be University) and facilitating opportunities for lifelong engagement with the university. Representing the interests of the alumni body by gathering a voice for alumni and facilitating communication with the university. To strengthen bonds and build relationships between alumni, students and university and provide opportunities for them to contribute to its welfare.